Home » Posts » Attentionology for K-5 Teachers » Leap into Learning! Leap into learning with a celebration of Leap Year 2016 that lasts into March! 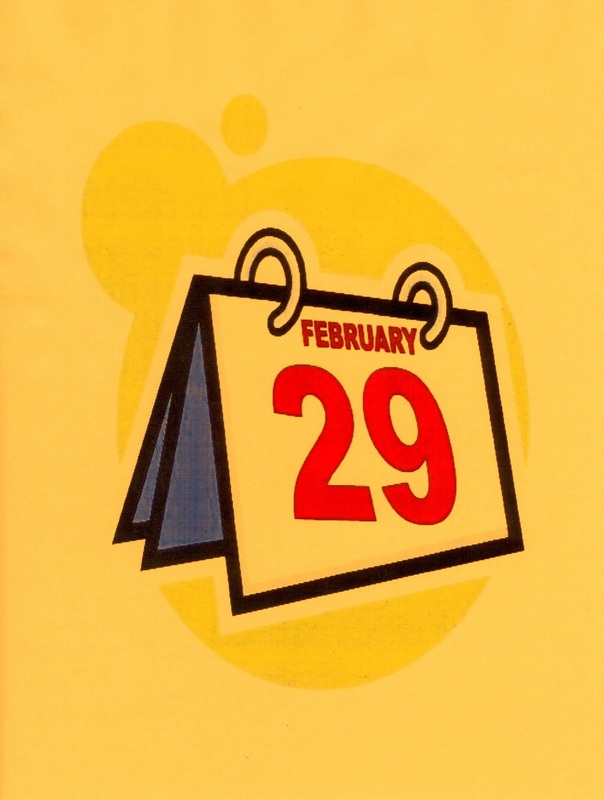 Today is Leap Day, February 29, in a Leap Year…2016. all the way into the month of March. As we all know, Leap Day and Leap Year only come once every four years. Why let the celebration end when the final school bell rings this afternoon; leap on! Leap into the Science and Math of Leap Year – Using age-appropriate language and visuals, review with students that we define a year as the number of days it takes for our planet Earth to orbit the sun. Add more science learning to this activity by asking upper elementary students if anyone knows what rotation a day represents. 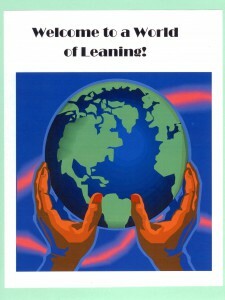 Answer: A day is one rotation of the Earth on its own axis. Welcome to a World of Learning! is a perfect graphic to help students leap into learning. The problem: Earth doesn’t orbit the sun in a round number of days. The math…It actually takes 365 and a quarter days for planet Earth to make a full circle around the sun. Ask if anyone knows how Leap Year factors into this problem. Answer: If we didn’t have Leap Days and Leap Years every four years, our months would eventually shift into different seasons. Challenge your class to imagine how odd it would be for July or August to be in spring, not summer, as we know these months in the Northern Hemisphere and the opposite in the Southern Hemisphere. Leap into Planet Earth Art – Find images of the earth to share with your class. Add a title, like Welcome to a World of Learning, that turns your graphic into a poster for a classroom wall. Use the poster to introduce an art activity that invites children to create their own images of Earth. How else can you invite kids to leap into learning? Historically Speaking…Leap into Learning! – 1582 is by any measure today, a long time ago! That’s the year in which the Gregorian calendar was introduced. 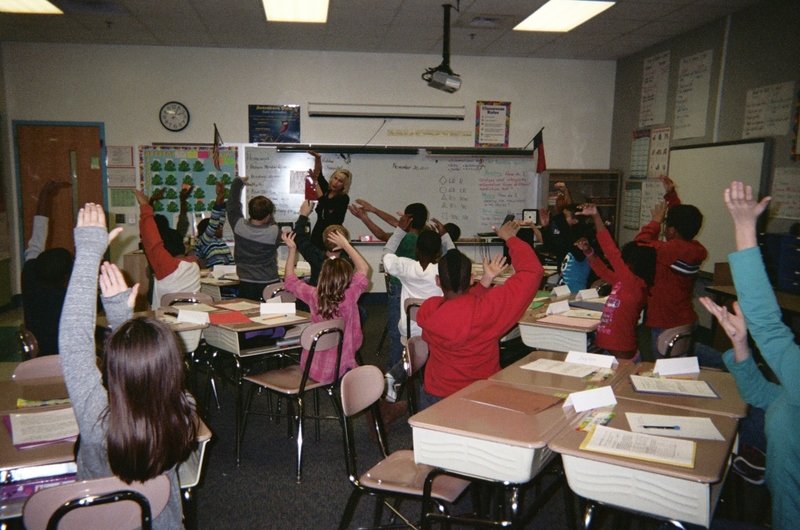 Lead students in warm-ups, like making arms and hands “leap” into the air to help them wake up and leap into learning. Challenge older elementary students to research the history of Leap Day and Leap Year. Get Kids Leaping to Get Ready to Learn – Do you have students who seem like they’re still asleep when they get to school? Help kids wake up by leading them in some warm-ups at the start of the school day. Your classroom space may not be conducive to letting kids actually leap the way they would like to do, but you can suggest that they make their arms and hands leap into the air, for example. Teachers who let students warm up to wake up first thing in the morning will have a class full of more alert students. Explain to kids that quick warm-ups help pump oxygen to their brains. Leap into Language Arts – In the English language at least, a popular rhyme helps children learn about Leap Year. 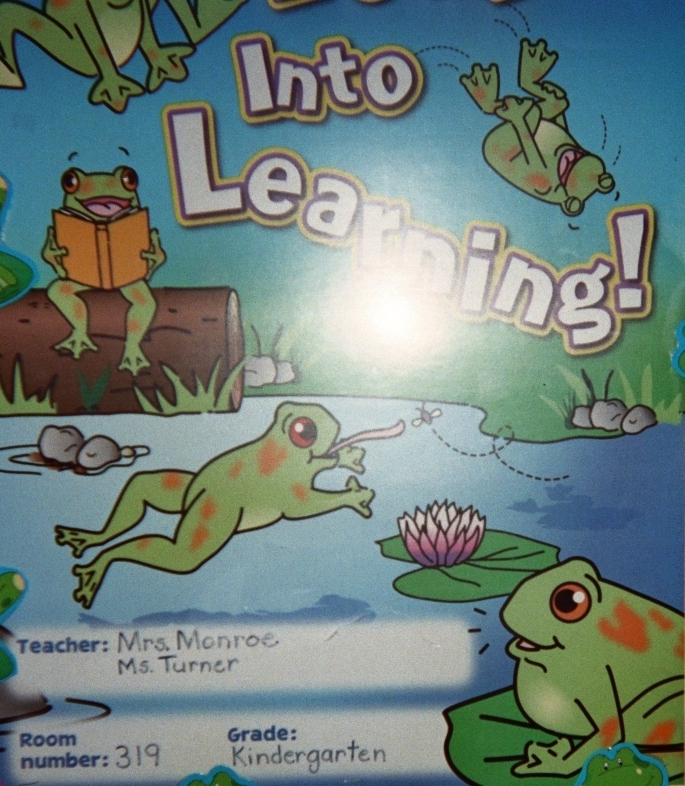 Frogs on this classroom door poster are leaping into learning, but in this photo, the word leap leaped out of the picture! Thirty days hath September/April, June and November. to which we twenty-eight assign/’til Leap Year gives it twenty-nine. On a day when you use Leap into Learning as a writing theme, begin the lesson by reciting and asking students to repeat a Leap Year rhyme with you. Challenge kids to write about how they would like to leap into learning. Encourage them to use their imaginations. For example, maybe a student would like to “be a frog” and leap into a cool pond in the hot summer to explore under water. Leap into Learning is an engaging theme that offers fun for students and options for teachers well beyond February 29, 2016. ‹ Create Attention-Getting Bulletin Boards!